It is now official that on Sunday, 10 November 2013, a New Pan African Movement is launched in UK bringing all sons and daughters of Africa to a platform hoped to build the spirit of togetherness and prosperity. Dubbed the first ever new Pan African Movement to be launched in UK, the Royal hosts and Founder members, Princess Deun Adodyin Solarin and Princess Toyin Onagoruwa-Abod said that Sunday 10 November remains historical in their determination to bring the best from and in Africa and everyone supporting them. 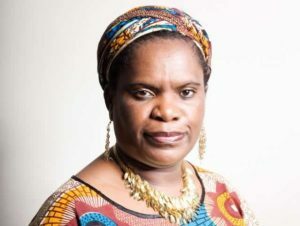 The new vision was fully endorsed by Muzvare Betty Makoni. It is not the first time that many of us get to know about what Africans are doing for Africa. Neither is it the first time to read about dreams and aspirations of Pan Afrikans as initiated by those before us. ‘Pan Afrika’ are two words used in the past decades with simple meaning: To bring Afrika and Afrikans Together for development and prosperity realising the great continent has abundant human and material resources that of course must be channeled the right way and for its people. At some stage, the spirit of Pan Afrika gained momentum in the past few decades but for some reason the spirit of Marcus Garvey, Steve Biko, Julius Nyerere and many other heroes who came before us has not been upheld with respect and honour it deserves and it is against this that the launch of New Pan Afrika Movement is a rekindling of that spirit. The vision of Pan Afrika cannot die right in our eyes. For Africa to build the continent and bring its people together for prosperity and total elimination of poverty, war and disease, a new vision is birthed by her Princesses with great confidence that this movement will grow and bring Africa, Africans and those who work and genuinely want to support the continent together. Of course, politicians have taken the larger space in leadership of the continent, but there are many of her sons and daughters with compelling missions and visions to create spaces to bring the African Wall of Greatness wherever and whenever Africans can meet and mingle and strategize.. In a statement of invitation to all Afrikans in UK and beyond, the Afrikan Royals encouraged people to come in large numbers to mingle and mix in a space where they interact and network for greatness. Many high profile Afrikan Royals, Entertainment Personalities, Media Celebrities, Industry Professionals, Pan-Africanists, Thinkers & Change Agents are attending the event. ‘As you are all aware, it is high time we take leadership about Afrika and Afrikans and reposition ourselves for prosperity in the 21st century. In my dream for Pan Afrika, I have a place where we all come to meet, mix and mingle and where everyone speaks whilst everyone listens. Everyone should own this space. Men and women, boys and girls and everyone who believes in the New Pan Afrikan Dream is welcome’ said Princess Deun Adodyin Solarin. The Famous Turntablist KASHIF DA FLASH has a full musical line up for all night entertainment with Rich Mix of 70’s/80’s Old Skool, Afrobeats and many others. The Royal Master Talking Drummer Ayan De First and His Ensemble will give the official beat to announce the big launch. The KLUB KALAKUTA! Club Scene @ MAROONS provides this Exclusive Launch Party venue.